조선 선조 30년(1597) 정유재란때 남원성을 지키기 위하여 왜적과 싸우다가 전사한 사람들을 함께 묻은 무덤이다. 왜군은 임진왜란때 전라도지방을 차지하지 못해서 결국 패했다고 생각하여, 정유재란 때는 전라도 지역을 점령한 뒤 북상할 계획을 세웠다. 선조 30년(1597) 7월말 왜군 11만명이 황석산성과 남원을 공격하였다. 남원은 지역적으로 전라도와 충청도를 연결하는 요충지로 국가에서도 이곳의 중요성을 알고 있었기 때문에 방비를 소홀히 하지 않았다. 왜군의 침입에 대항하여 군·관·민이 합심하여 싸웠으나 남원성은 마침내 함락되고 말았다. 이 싸움에서 만 여명의 관리와 군사, 백성이 사망하였는데, 임진왜란이후 전사한 사람들의 시신을 한곳에 합장하였고 광해군 4년(1612) 충렬사를 세워 8충신을 제향 하였다. 처음 이 무덤은 남원역 부근에 있었으나 민가에 둘러싸이게 되어 1964년 현재 자리로 이전하였다. 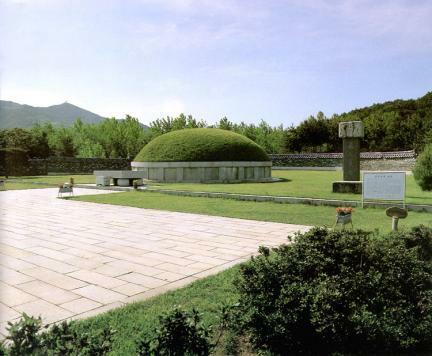 This is the graveyard of those who died during the battle with the invading Japanese force in defense of Namwon Fortress in the 30th year of the reign of King Seonjo of the Joseon Dynasty (1597) when the Japanese invaded Korea for the second time. The Japanese thought that they had lost their first war of aggression in 1592, because they had not been able to occupy the Jeolla-do area, so they set up another plan to advance northwards after conquering the Jeolla-do area during this 2nd invasion. 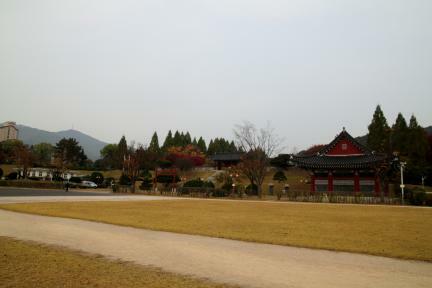 At the end of July in the 30th year of King Seonjo’s reign (1597) a Japanese force of 110,000 soldiers attacked the Hwangseoksanseong and Namwonseong Fortresses. 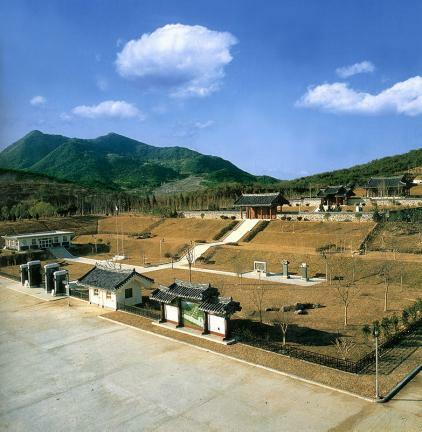 Meanwhile the government had well recognized the importance of Namwon as a strategic point which connected the Jeolla-do and its northern neighboring area, the Chungcheong-do area, so all the people at the Namwonseong Fortress were prepared for its defence. 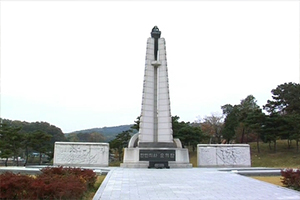 Every one at Namwonseong Fortress including soldiers, government officers and civilians fought bravely against the Japanese invaders, however their defence was unsuccessful, and the fortress was finally occupied by the Japanese Army. More than 10,000 men of were killed during this battle. 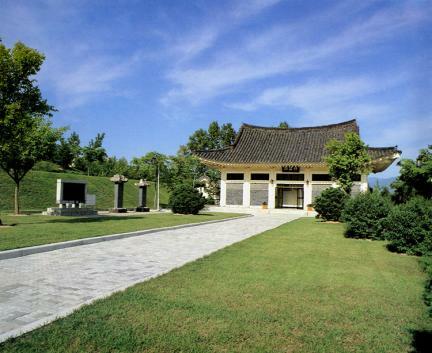 After the war was over, the bodies of those killed in this battle were buried together in a common place, and Chungnyeolsa Shrine was built in the 4th year of the reign of King Gwanghaegun (1612). It was initially located near Namwon Railway Station, but it soon became surrounded by private houses so was moved to its present location in 1964.